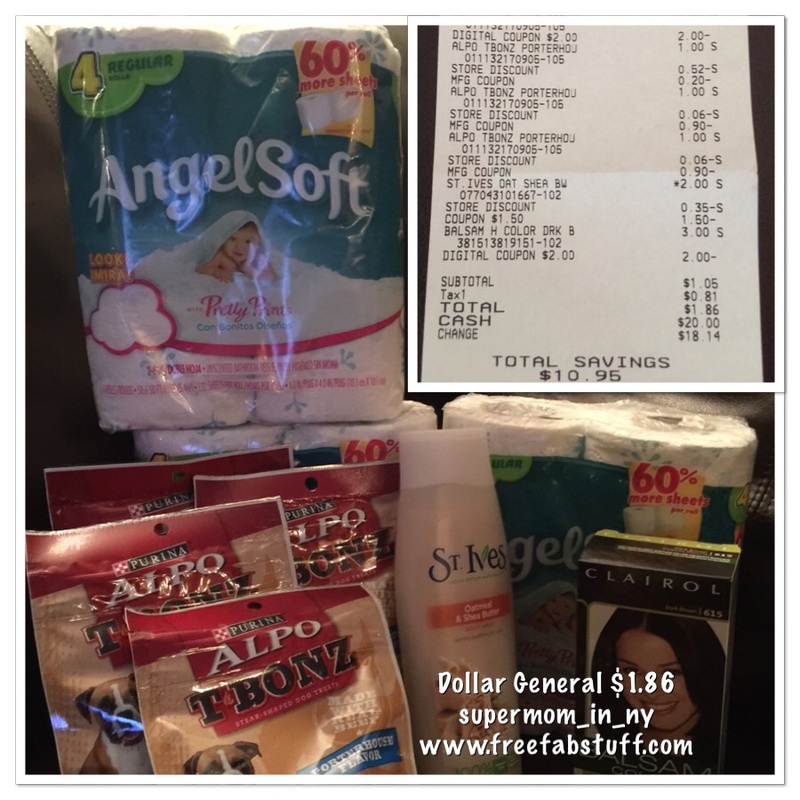 For the past two weeks Dollar General has been a great place to get a lot of free stuff for the home. 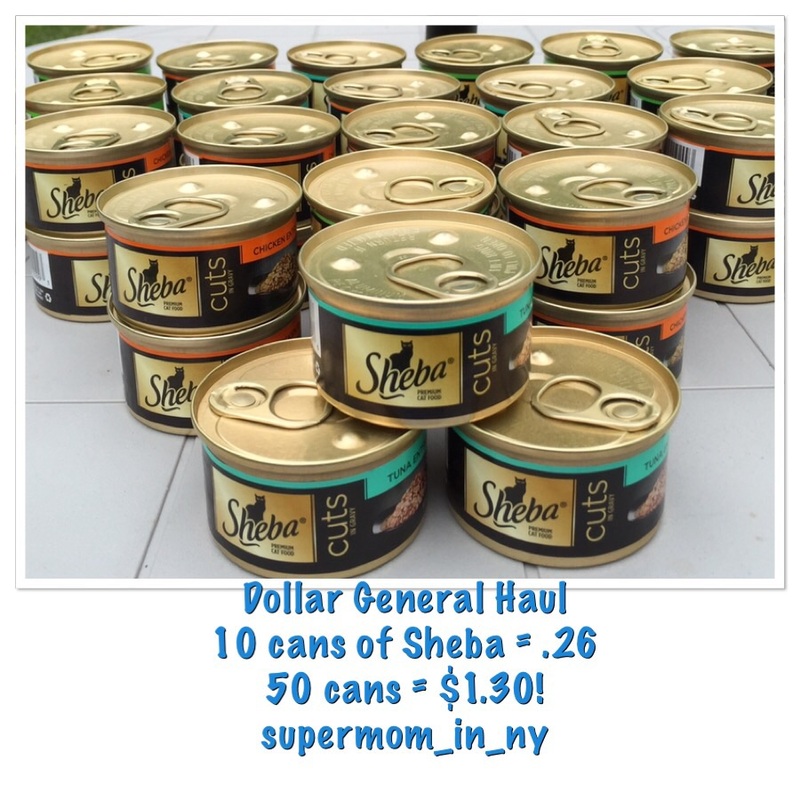 The first picture shows the first haul of Sheba cat food I got for free. 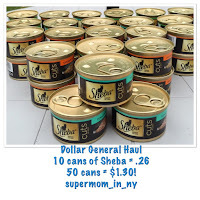 After all of my transactions, I picked up 100 cans of Sheba! I was also able to get Alpo T Bonz snacks free of cost using coupons. Yesterday they had another promo for Columbus Day. It was a digital coupon that took $2 off a $10 purchase. (You must register on the site to load the digital coupons and then use your phone number at the register to get your discount). 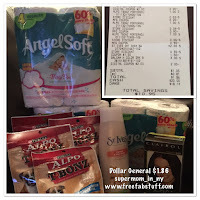 I bought everything in the picture, used Qs and paid $1.86! This Saturday is their next promo event. Go through my breakdowns above, cut your coupons, load your digital coupons and go to Dollar General to stock up on household necessities.